"Reduce organizational drag by 15%"
Link3D enables teams to work on a single platform to collaborate on research and development, rapid prototyping to series production projects. Improve communication and increase speed-to-market in a secure environment built specifically for Additive Manufacturing. 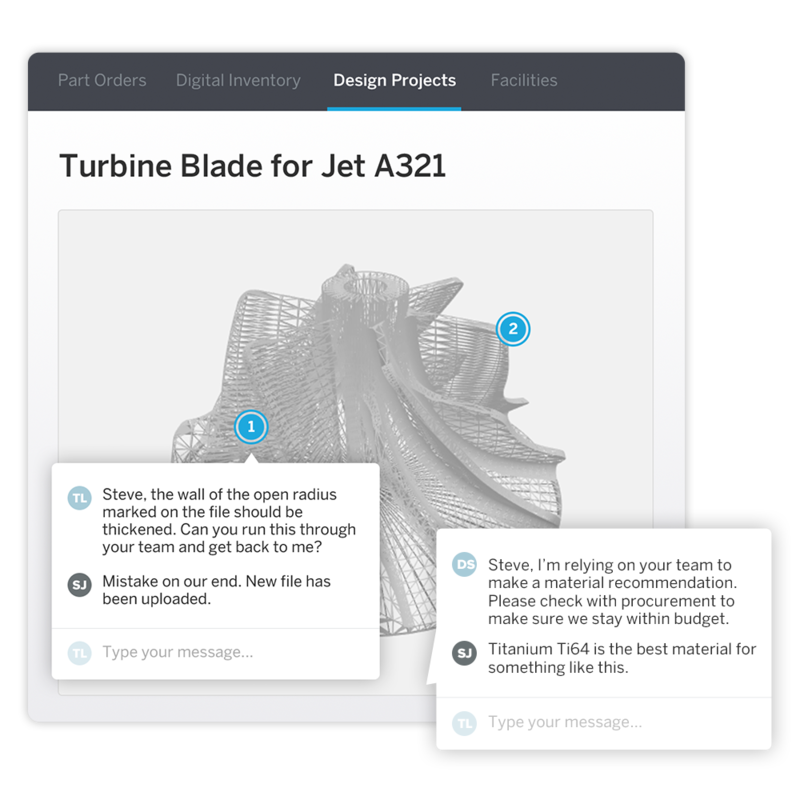 Built-in Additive Manufacturing collaboration tools include real-time messaging, auto-notifications, task management, milestone setting, reporting and workflow automation. Users feel as if they are working side-by-side. Empower all employees in Additive Manufacturing with built-in project management tools to stay on track with new and current AM part orders. This makes it easier for everyone to receive action items and meet deadlines. With access and permission settings granted on a per user level, LINK3D makes it easier for organizations to structure their business by departments and teams. Reduce 3D file and data preparation costs with built-in quality assurance tools, such as printability checker and mesh healer.